New Delhi, July 10 (IANS) South Korean President Moon Jae-in was accorded a ceremonial welcome at the Rashtrapati Bhavan on Tuesday. 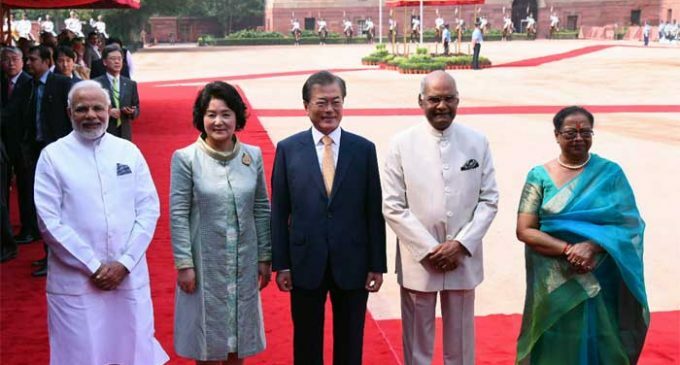 The President and his wife Kim Jung-sook were received by his Indian counterpart Ram Nath Kovind, his wife Savita Kovind and Prime Minister Narendra Modi. President Moon, who arrived here on Sunday on his maiden official visit to India leading a 100-member business delegation, on Monday inaugurated the world’s largest mobile factory spread over 129,000 sq metres in Noida unveiled by the South Korean tech giant Samsung. 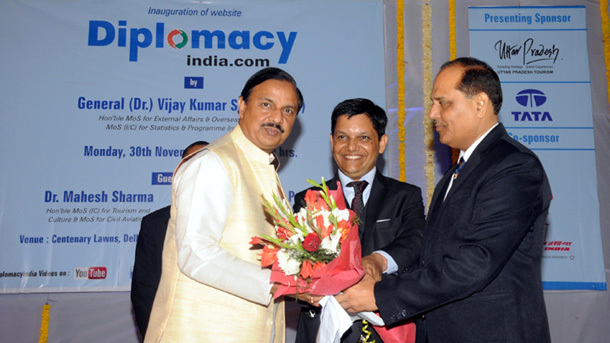 He will hold official talks with Modi later on Tuesday.